Addison: Jake, you just said our son. Jake: Damn right, I did. 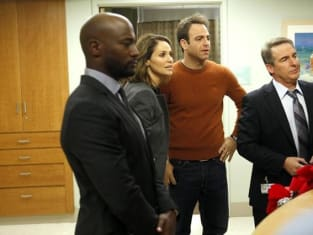 Private Practice Season 6 Episode 12: "Full Release"
If Addison leaves a sharp instrument lying around, I just might stab you with it. Private Practice Round Table: "Full Release"